What is the Most Potential Risk in China Currently? Is China’s Rise Now Stalling? After more than three decades of rapid development, China has come to a crucial historic turning point in the second decade of the 21st century. In 2010, China’s GDP surpassed Japan for the first time, becoming the second largest economy after the United States; by 2017, China’s GDP was about 2.65 times of Japan. According to estimates by the World Bank and other agencies, China’s aggregated economy will surpass the United States in 2030 or so and will rank first in the world. Undoubtedly, China’s rapid development has attracted the attention of Western developed countries. However, is China today still seen as a developing country that learns from the West? Or is China considered a competitor or challenger with a different system and a different civilization? And can the so-called Thucydides Trap between a rising China and the United States the superpower be avoided? After more than three decades of rapid development, China also saw new problems by the end of the first decade of this century. China’s Gini coefficient reached an unprecedented level; the income gap between urban and rural areas, among different professions, and different regions, was very large; official corruption, environmental pollution, and the public’s dissatisfaction were increasingly serious. Since 2014, China's economic growth has apparently begun to slow down, entering the "new normal" period in the real sense. Therefore, in the second decade of the 21st century, China has in fact entered a period of historical adjustment. China not only needs to continue to reform the problems and drawbacks left over from the first 30 years after the establishment of the Chinese Communist Party, but it also has to reform the new problems and new defects occurring in the past 30 years of reform and opening up. That is to say, China has to adjust policies domestically and reconstruct the relationship with the world today. Since 2012, the Chinese government has consciously adjusted the direction of development in the past 30 years. Internationally, China has put forward the "Belt and Road Initiative" and the concept of "community of human destiny". It repeatedly stresses that the relationship between China and the West is win-win cooperation, hoping to promote globalization further. 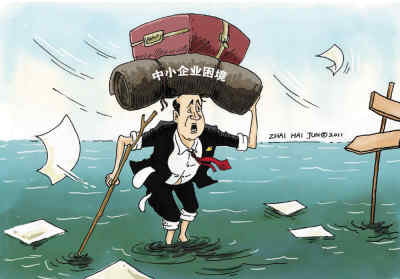 Domestically, China has begun to tackle issues such as official corruption, environmental pollution, and the disparity between the rich and the poor. Policy makers have taken more consideration into those from the bottom of society, and the country’s socialist feature has become increasingly clear. From the perspective of macro-historical development, it is an objective historical requirement for China to adjust and transform over the past few years. Otherwise, developments might not be sustainable. In this sense, it is not accidental that China has made major adjustments and changes since 2012, while still deeply rooted in social issues. It is a logical continuation of the further deepening of reform and opening up initiated by Deng Xiaoping. It is to solve both old and new problems facing China. At this juncture, a further examination and exploration of the whole process is deemed necessary. What kind of practices in China’s 40 years of reform and opening up is worthy of carrying forward in the future? In which aspects do we need to deepen reform? What kind of new problems have emerged in the past 40 years that require further reform and adjustment? As a newly emerging great power, can China still maintain an interconnected relationship with the West, especially with the United States? Can a new type of smooth interaction mechanism be established between China and Western countries? Participants are encouraged to exchange views on the successful experiences and problems of China’s reform and opening up in the past 40 years, economic development and governance, relationships between China and Western developed countries and other developing countries.